Jollibee, dubbed “Asia's answer to McDonald’s”, has grown to become the Philippines' largest quick-service restaurant chain with more than 3,000 branches and over 40,000 employees. 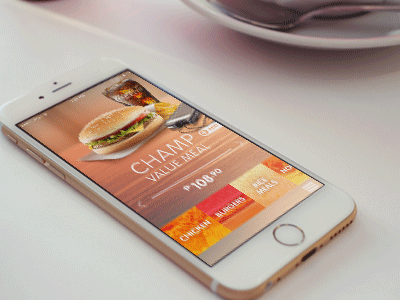 As food chains across the board are increasingly focused on apps to drive higher order values and boost sales, Jollibee committed to lead innovation for mobile ordering, paying and promotion. The geographical nature of the country with over 7,000 islands, decentralized operations and four autonomous regional business units posed unique logistical, experience and backend-end challenges. Reaching out to customers wherever they are: the web (at work, at home) or on-the-go via native applications on their mobile devices, was critical. Making the order experience seamless across all channels and as convenient as possible, was at the heart of creating a customer experience for a growing and increasingly discerning Philippine middle class. We gave users a unified experience with single sign-on across iOS, Android and responsive web that allowed users to instantly check menu availability with stores in their delivery radius, save and name orders and delivery addresses, locate and displays stores by users location and choose between multiple on-delivery payment options. We gave Jollibee an extensible platform to connect to customers wherever they are, drive higher order values and boost sales.